Quite a while ago Parragon Books sent me a great book to review, and because I'm unable to stand around for ages cooking at the moment I must admit I neglected to use it. Finally I ordered my ingredients among my shopping and last night I cooked a recipe from this book for my family's tea. The Burger is full of around 100 different recipes including a few sauces and condiments as well as a whole plethora of burger recipes of all types.It has everything from Chilli Burgers and Jamaican Jerk Chicken Burgers to Beef Teriyaki Burgers With Sizzling Vegetables. 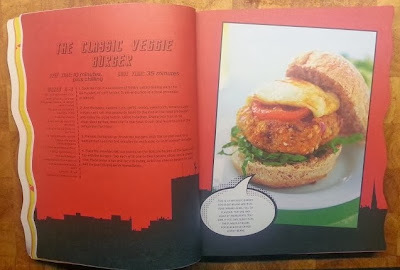 It also has an excellent section with hints and tips and The History Of The Burger. I was delighted to see that it contained a few vegetarian recipes (as well as masses than can be adapted for use with soya or Quorn mince). 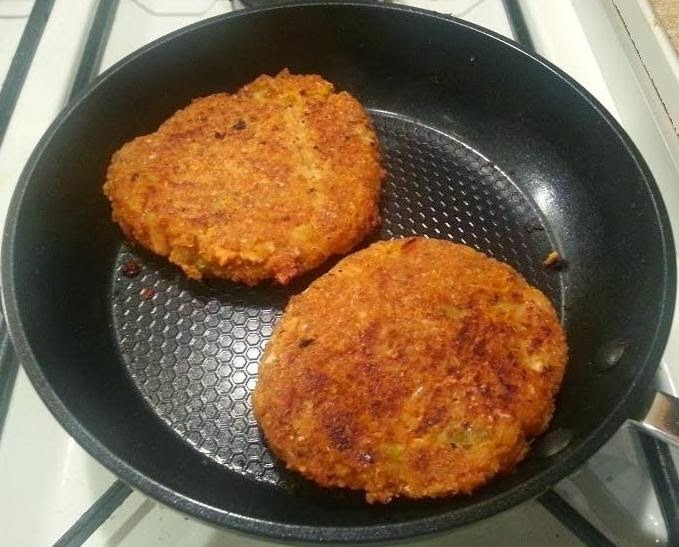 I decided to make their Classic Veggie Burger. This is a vegan burger where the protein content is from beans and nuts. It's incredibly simple to make and literally ANYONE can do it. Please bear in mind I used double ingredients as I needed to feed 7 of us last night, so you won't have as much mix or as many burgers! Cook the rice for 20 minutes or until tender. Drain and put into a food processor or blender. 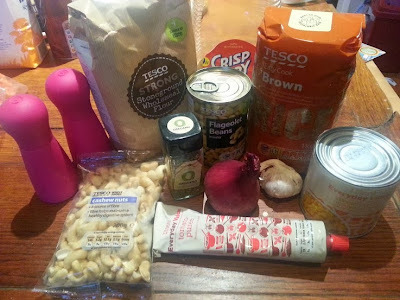 Add all other recipe ingredients - beans, nuts, garlic, onion, sweetcorn, tomato puree, oregano - and season with salt and pepper. 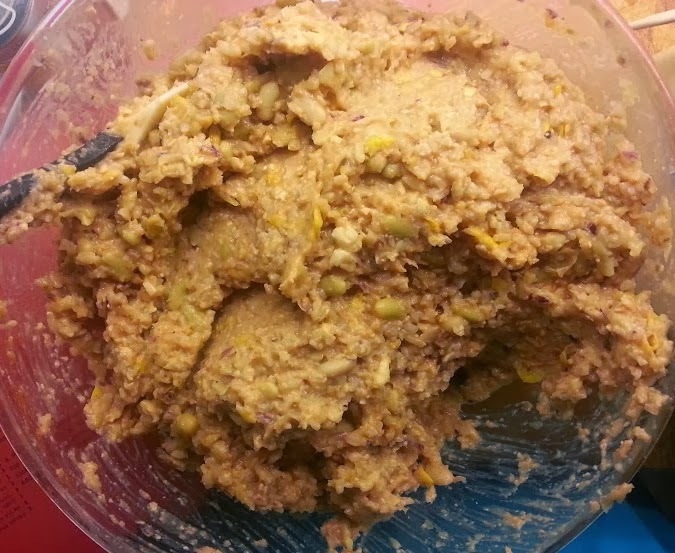 Blend until the mixture still has a bit of texture, but no big lumps of garlic or nuts. 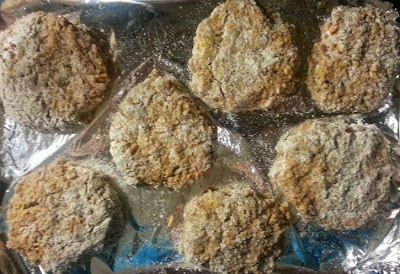 Fry your burgers or brush with oil and barbeque for around 5 minutes a side. I actually did mine for a little longer on a low heat as I felt they were a bit soft still. These burgers were really nice. I was worried they'd be a little too sweet, but they were not at all. The beans have the strongest flavour, so they actually go incredibly well with tomato relish or good old ketchup! 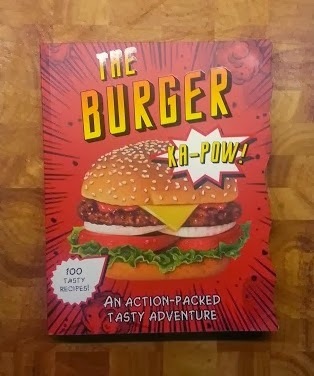 The Burger is a shaped paperback with 224 pages. It has an RRP of £12 and is currently available on Amazon for £11.13. I really like it. I've already got the ingredients to make Spiced Lentil-Potato Burgers and there are a few of the meaty burgers that I can easily use soya mince with. Making your own burgers is much healthier and you can add whatever takes your fancy on the day! Wow! 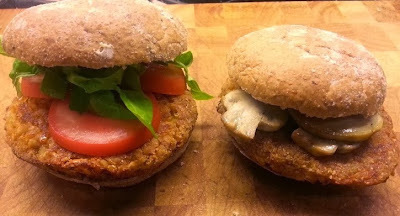 Great to know the veggie burger recipes! Love the look! I need that book! I love making burgers but always struggle to do anything different. Those look great. It sounds like it would be ideal for you - there really are burgers in there with anything you could ever think of!